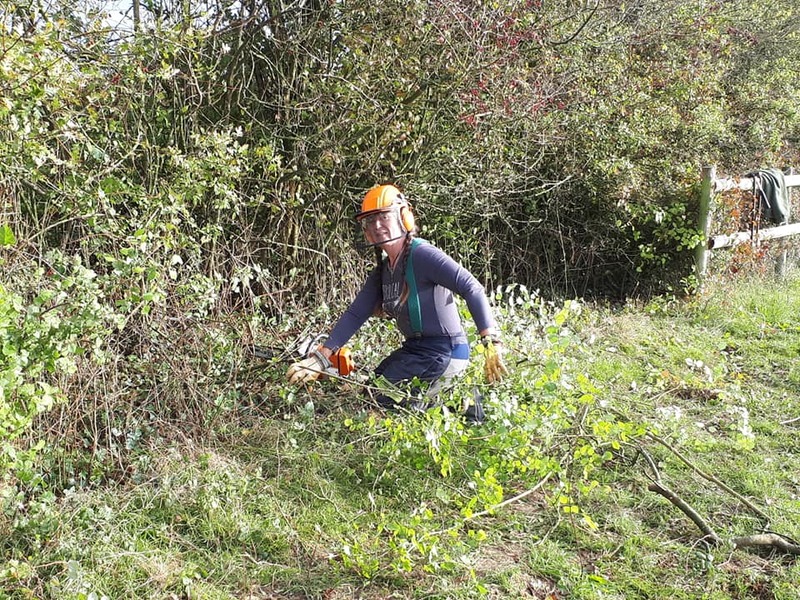 we have recently purchaced a few acres of land in Dorset and are planning on planting some willow beds,so we can use our own willow to make all our products.We have just been granted permission to make a gateway ,and a parking area.this winter and spring,we will have to plant about 300 yards of mixed native wood hedges,dig out a wildlife pond,plant the willow and get a veg garden on the go,and also a fruit tree orchard and a hazel wood and ash wood coppice ,as well as some trees. 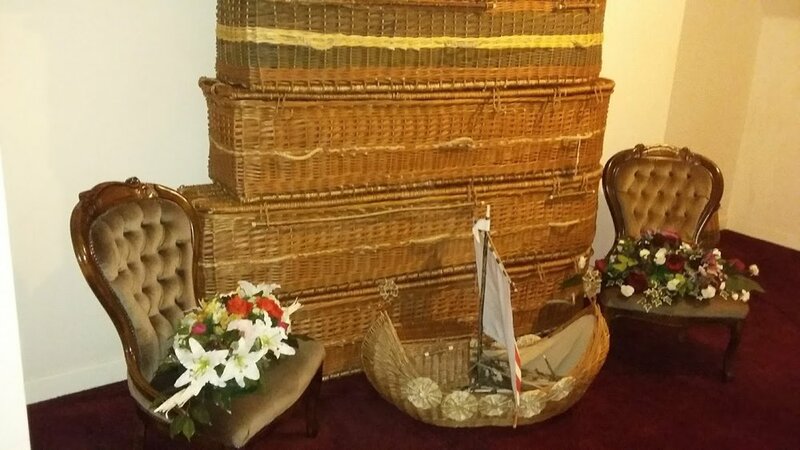 today we were invited to do a photoshoot of our coffins for a local florist .both these willow coffins were handmade this week using all locally grown willow and hazel and have been decorated by sue carter from OLD CHAPEL FLOWERS in east stour nr gillingham Dorset. 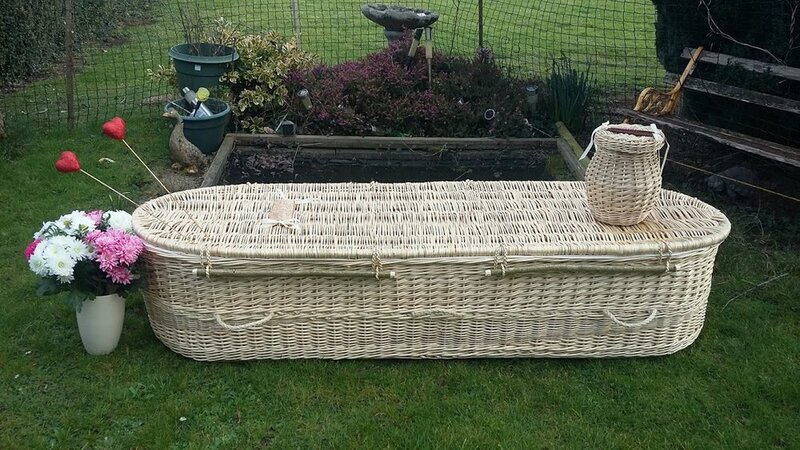 The white willow coffin is for a customer who will be storing the coffin in the loft until she needs it,and the other one os off to london next week. 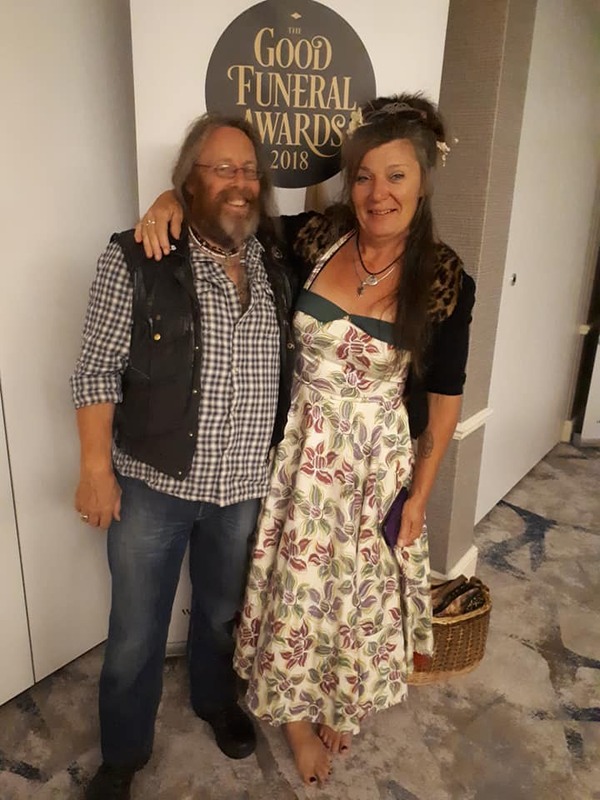 This years good funeral awards was held at the highcliffew marriot hotel in bournemouth.and was hosted by Brian Jenner. It’ll be the biggest party in funeralworld – well, since last year’s awards. Winning a Good Funeral Award is a sign that the public can come to you and enjoy the high-quality service they deserve. 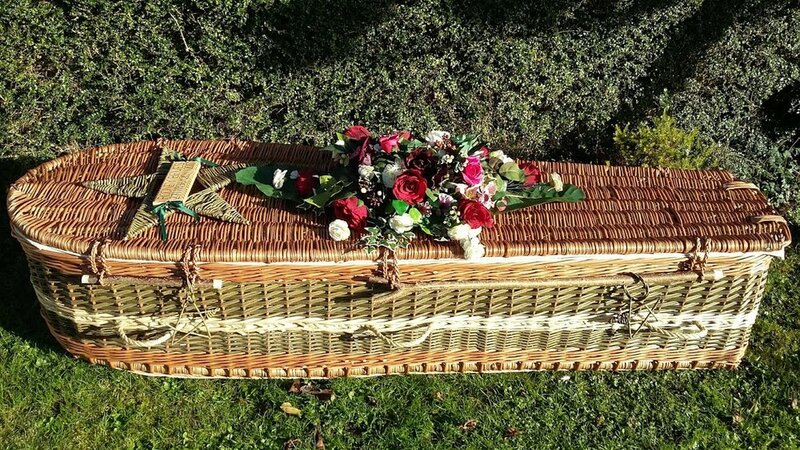 If you work in the funeral industry and you enjoy day out with networking, photo opportunities and a celebrity appearance, you need to have been there. there were death cafes in one of our yurts ,a space where people can air their thoughts and feelings about greif,mortality, and bereavment within a supportive group. During the day there were lectures in the big yurt from writers,and people working in the funeral world.